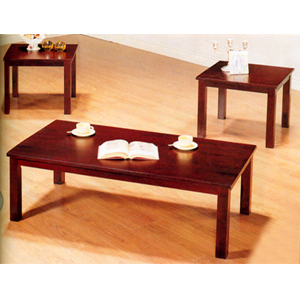 3-Pc Coffee And End Table Set In Cappuccino Finish. Details: End Table: 22L. X 22W. X 19H. ; Coffee Table: 48L. X 23-1/2W. X 16-3/4H.. Easy To Assemble. Strong Construction.